The dog days of summer are just around the corner and June is barking out all over. This week, three canine-themed fundraising events are happening in Humboldt. All are invited to these fun family friendly events. Round up the pack for some furry fun and help raise money for important causes and organizations. First up, over at the Lost Coast Brewery Taproom (1600 Sunset Drive in Eureka), it's Pints For Nonprofits–Bark For Life on Thursday, June 7 from 5 to 8 p.m. (free admission). There will be lawn games, an ice cream parlor and more, and for every pint sold, the local American Cancer Society receives $1. Hot diggity dog. This is an all-ages event. Drinkers, bring your IDs. They'll be checking dog tags. On Saturday, June 9, Bark For Life of Humboldt County woofs it up from noon to 5 p.m. at Pierson Park (free). 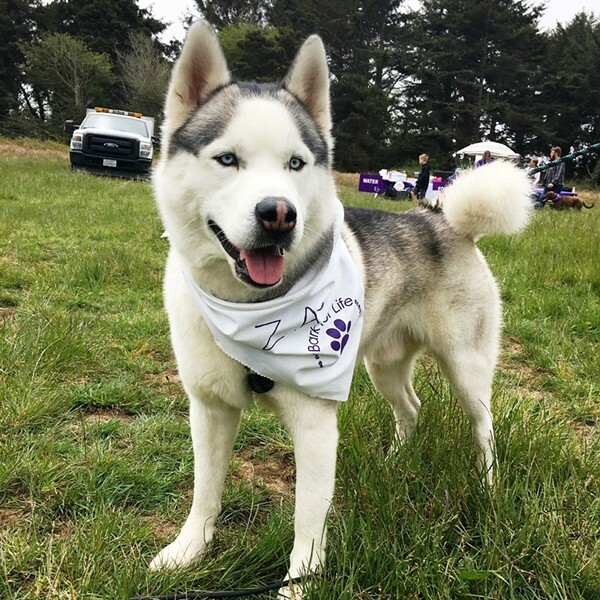 The noncompetitive walk for dogs and their owners raises funds and awareness for the American Cancer Society's fight against cancer. In addition to the walk, the day is filled with contests, kids' activities, doggie demonstrations, K-9 officer meet-and-greets, an auction and raffle, nonprofit booths, hamburgers, hotdogs and tons of fun. Everyone and their dog (friendly pooches with up-to-date vaccinations, that is) will be there. After the festivities in McKinleyville, wag your tail with friends at the Lost Coast Brewery Taproom for Lost Coast Brewery's Barks & Brews on Saturday from 5 to 9 p.m. ($5 suggested donation). LCB is giving $1 from each pint sold to Sequoia Humane Society, Companion Animal Foundation and Humboldt Spay Neuter Network. There will be music by Dog Friendly, featuring Megan Hensley, animal-themed games and food available from Citrine Catering.